​Those traveling to Alaskan ports on Celebrity’s Millennium discover a wealth of excursions from which to choose. They’ll also find such novel ideas as a destination concierge on board and private excursions customizable for each port. In contrast to some cruise lines, online prices are the ones you pay on board. The excursions staff has two key people. Johanna works to establish the various tours while their destinations concierge, Joey Generoso, deals directly with passengers. I interviewed Joey at his office and was impressed with his travel knowledge. He advised me that the benefits of taking tours are fourfold. Guests booked on excursions receive priority port departures. Up to 24 hours before the tour’s departure, you can change a reservation without a penalty. The ship will wait until all tours return. They use knowledgeable and experienced guides. Joey enjoys helping those people who come to him by narrowing their choices on what they want to do and satisfying special requests such as car rentals. By disseminating information in talks on the various excursions, including trivia on the ports, Joey is convinced it raises awareness. He finds it gratifying to help people add enjoyment to their vacation rather than just look at the port. First timers prefer more general tours while passengers, repeating a cruise to the same destination, often have special interests or go off by themselves. Celebrity chooses tour companies based on their reputation and how they are ranked by someone from the head office. Each tour operator is checked before the season to make sure their tours are in line with Celebrity’s standards. If Celebrity’s concerns aren’t rectified, the tour operator is dropped. Concerns are based on passenger comments with Celebrity listening to even one complaint. “Staff is sent on tours regularly to see if standards are being met unequivocally,” said Joey. I was amazed at the vast variety of tours offered on the Millennium at each port. In Ketchikan, the most popular include seeing the Misty Fiords National Monument and coastal scenery via float plane or boat. Anything fishing related also draws passengers. In Juneau, it’s any activity related to the ice fields, Mendenhall Glacier, and whale watching at Stephens Passage. The train draws crowds in Skagway as does anything related to the Gold Rush. The two-mile Chilkoot Trail, on which the prospectors traveled, attracts active passengers. Salmon bakes have a small following. 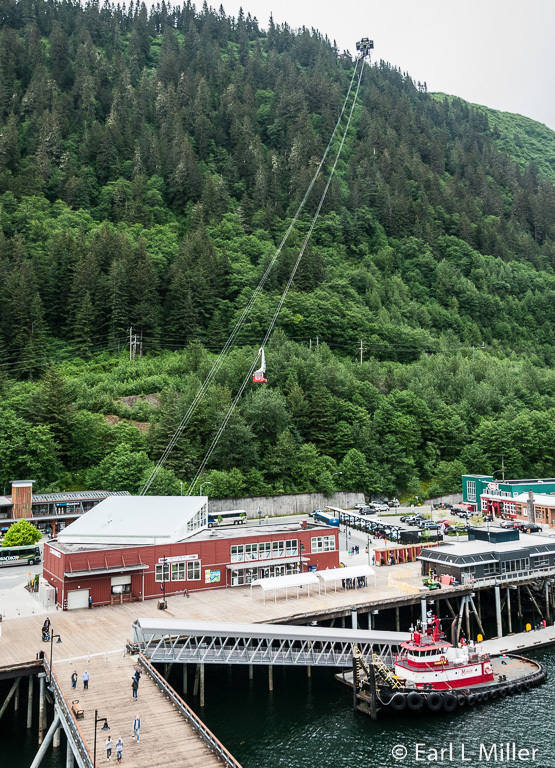 While in Icy Strait Point, the most popular are those concerning whale watching, going on the zip line, or the tour of Hoonah. I didn’t hear of any tours that were sold out. However, since some can, it’s best to book ahead some tours before embarking or on the cruise’s first day. For example, helicopter tours, because of limited seating, can sell out in any port. 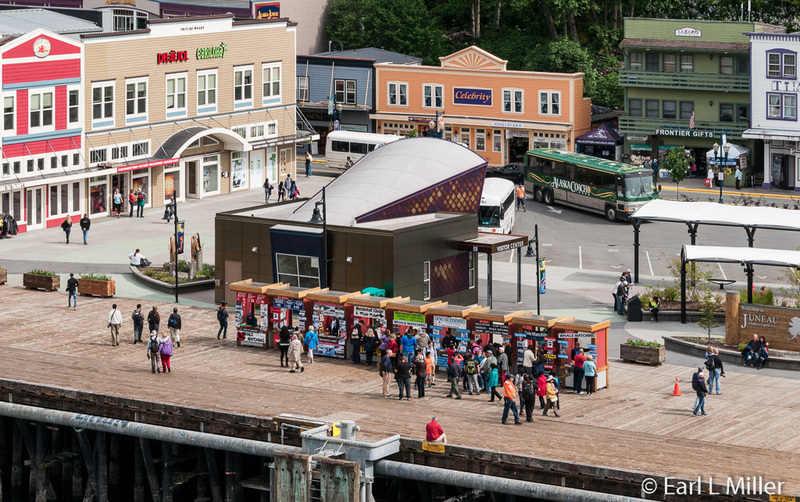 Juneau’s dog sledding and glacier tour, Ketchikan’s Deadliest Catch boat tour, and Skagway’s bike or train tours are likely to as well. When booking, look up the tour’s elements. Are the various sites actual visits or are they photo stops? It’s better to have three full stops rather than eight short ones in order to really appreciate what you are seeing. Is the tour mild, moderate, or strenuous when it comes to activity? Consider your physical ability, mental state, and interests when booking. Does your excursion include a meal? Tours longer than six hours do include a meal and some of the more active tours, with shorter times, encompass a snack. Some tours are offered twice during the day with others at multiple times. You need to decide what times work best for you. If you book on Celebrity’s web site ahead of your cruise, you’ll currently need to pay by credit card instead of using your on board credits. If you’re on the ship, you can apply your credits. Celebrity also offers private tours of Alaska meant for small groups. These aren’t advertised on the Internet. In Ketchikan, the Custom Hummer Adventure lasts four hours and costs $614 for a maximum of five people. Guests should consider it a private car service with a knowledgeable Alaskan tour guide. It’s customizable at any point along the way. It allows passengers to choose from such venues as wildlife viewing areas, waterfalls, a detailed city tour, museums and attractions, or hikes through the rainforest. The Ketchikan Saltwater Expedition lasts three hours at a price of $253.50 per person. It’s a semi-private tour which is guided and narrated by the boat captain on a Coast Guard fast response Vessel. It visits coves on Pennock Island and off the coast of Gravina Island, providing opportunities to see wildlife. Departure time is at the guest’s preference. At Icy Strait Point, Chichagof Self Drive Discovery, consists of renting a 2016 Jeep Wrangler with seating for four (maximum capacity of five). This allows you to explore the island at leisure by going to Hoonah, taking short hikes on trails lined with interpretative exhibits, and having a chance to see wildlife like brown bears and marine mammals. The tour lasts 6.5 hours. 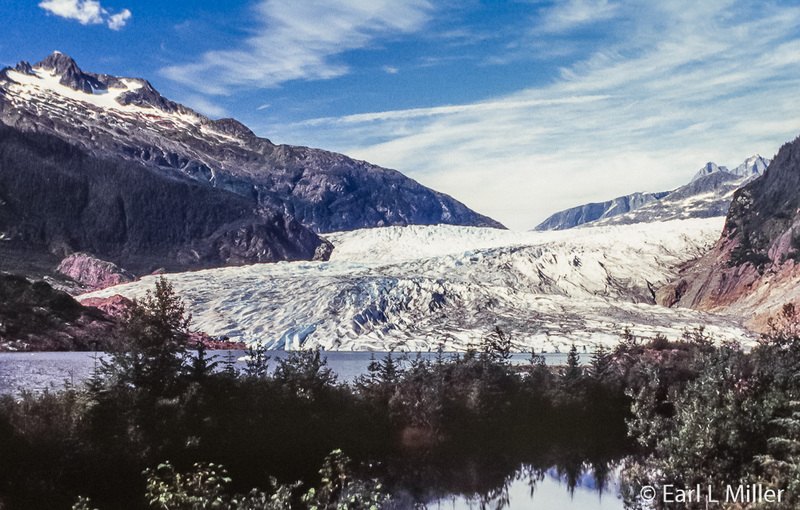 The Juneau private tour, City of Gold and Ice, is ideal for hikers. It lasts 4-1/4 hours at $130 per person. It operates with a minimum of six people and maximum of 12. You’ll drive through the Historic District to see the capitol and the governor’s mansion. Then you’ll go across the bridge to Douglas Island’s Homestead Park. The tour continues with two walks. On the first trail, a 1.5 mile hike on level ground, is an outdoor museum with mining relics and sites. It’s the former location of the Treadwell Mine. The second is a two-mile trek to Nugget Falls on a flat, improved, gravel trail. Departure is at 9:00 a.m. If you prefer, you can do your own self drive tour in Juneau. Car prices are $170, taxes included or $205, taxes included, with a mini van. Cars are mostly Volkswagen Jetta’s and Mitsubishi Galants while vans are Kia Sedonas. Guides are $45 per hour additional to the car rental rate. The duration is all day until 8:00 p.m. In Skagway, you can do the Heli Hike combining a helicopter flight, a ride aboard the White Pass & Yukon Route Railroad, and a four to five-mile hike in the Tongass National Forest. The hike is to Laughton Glacier with hanging 4,000-vertical-foot icefalls. The duration is 4.5 hours while the price is $390 per person. Departure is at 11:00 a.m. While not an excursion, the Millennium takes its ship to Hubbard Glacier located in Disenchantment Bay near the coast town of Yakutat. 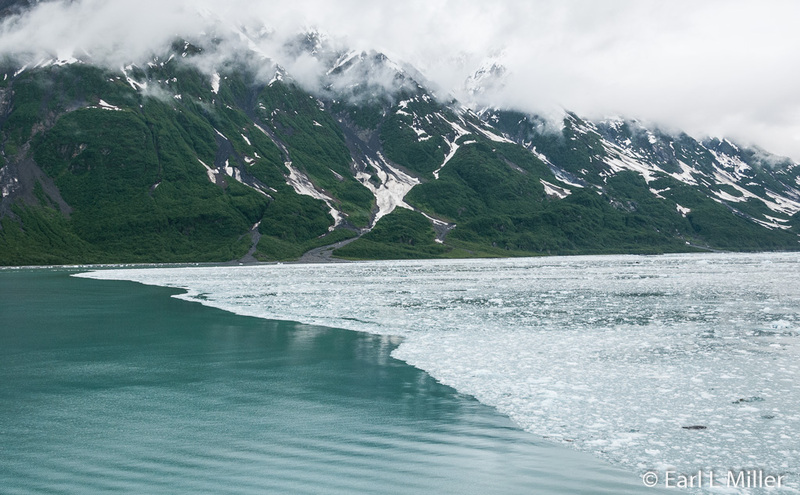 It’s Alaska’s longest tidewater glacier and the biggest one visited by cruise ships. Still advancing, the glacier extends 76 miles from its source on Mt. Logan in the Yukon. It is more than 6 miles wide, 300 to 400 feet from the top to sea level, and 300 feet from sea level to the bottom. As you cruise the bay towards it, you’ll observe where the fresh and salt waters meet and view small ice bergs where birds rest and seals haul. The water is a glacial blue. We cruised this passage face from 7:30 a.m. to 8:45 a.m. including spending a half hour about a half mile from the glacier’s face. The naturalist on board, Milos Radakovich provided constant narration throughout the trip. While we got close, ice can keep cruise ships several miles away, particularly in August and September, when more calving occurs. On our trip, I heard the splash but didn’t see the action. Whether you take an inland water cruise of Alaska, which we have also done, or go between Vancouver and Seward, one port you will stop in is Juneau, the capitol of Alaska. Millennium provides here 41 tours from which to choose. You can also venture out on your own for a self guided tour of the Capitol and visit to Alaska’s State Museum which opened this past June. For those who want a helicopter or floatplane experience, the choices are numerous. A popular one combines dog sledding on the Mendenhall Glacier with a helicopter ride. This is offered four times during the day while going by helicopter to take a walk on the glacier is provided five times. 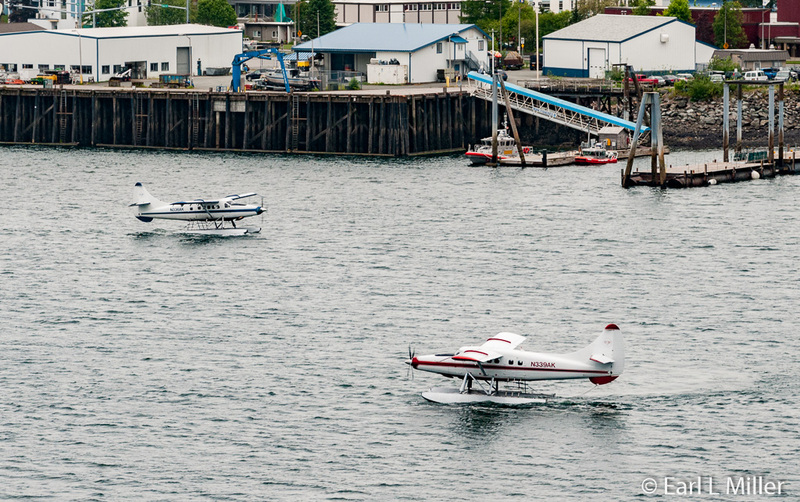 Both floatplane experiences are also offered several times with one including a salmon feast at Taku Lodge. Wildlife sightseeing is big in Juneau with six opportunities to go whale watching. Three are combined with Mendenhall Glacier while others include time at a salmon bake or are strictly excursions on whaling boats. Active adventures include a hovercraft adventure, Mendenhall Glacier float trip, hiking, kayaking, canoeing, and ZipLining. Three are sportfishing or fly-fishing trips. The Destination Highlights excursions concentrate on gold panning and mining, seeing the city by tram, a choice of Gold Creek Salmon Bakes, and learning about sled dogs at a musher’s camp. There are several which spend time at Mendenhall Glacier exploring the visitor center or salmon hatchery, going to a Salmon Bake, or visiting Alaska’s Glacier Gardens. For chefs, they even have one titled Chef’s Market Discoveries - Alaska’s Wild Flavors and Private Dinner. 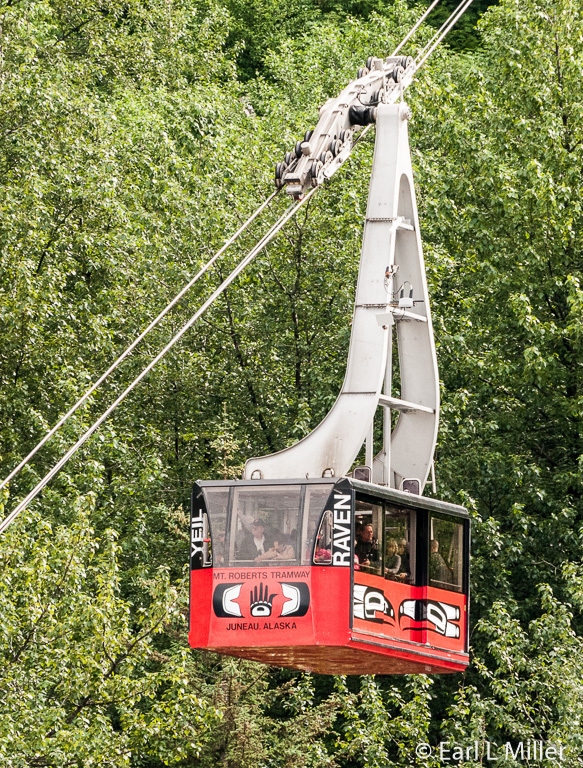 Another option consists of tickets to Mount Roberts Tramway, located very close to the port. Tour duration is at your leisure and for $33 you can go up in the tramway as much as you want during the day. Hours are 8:00 a.m. to 9:00 p.m. Tuesday through Sunday and 11:00 a.m. to 9:00 p.m. on Mondays. This is the only excursion I’ve ever seen on a cruise ship where you get your money refunded if you don’t use the tickets. Operating May through September, it’s the only tramway in southeast Alaska. Cars rise 1800 feet in a six-minute ascent of 3,819 foot Mount Roberts from the docks through the rain forest to the Mountain House on top. We had considered taking the tramway but changed our minds since it was a cloudy and rainy day. The reviews I have read about it have been glowing. On the dock, vendors have several kiosks where they sell tours. I’ve read the Mountain House provides superb views of Juneau and Gastineau Channel. Its Timberline Bar and Grill specializes in seafood but offers reindeer sausage, hand-pressed burgers, and homemade desserts. Its Chilkat Theater shows a free 18-minute film “Seeing Daylight” on the Tlingit way of life. Raven Eagle Gifts features Native arts and a made-in-Alaska gallery. Atop the mountain is Juneau Raptor Center where the rehabilitation of sick and injured eagles, hawks, falcons, owls, ravens, and other birds brought in from Juneau and Southeast Alaska takes place. The center accepts any species of birds brought to them for treatment. The Nature Center offers guided hikes or you can be your guide on trails of varying lengths and degrees of difficulty. 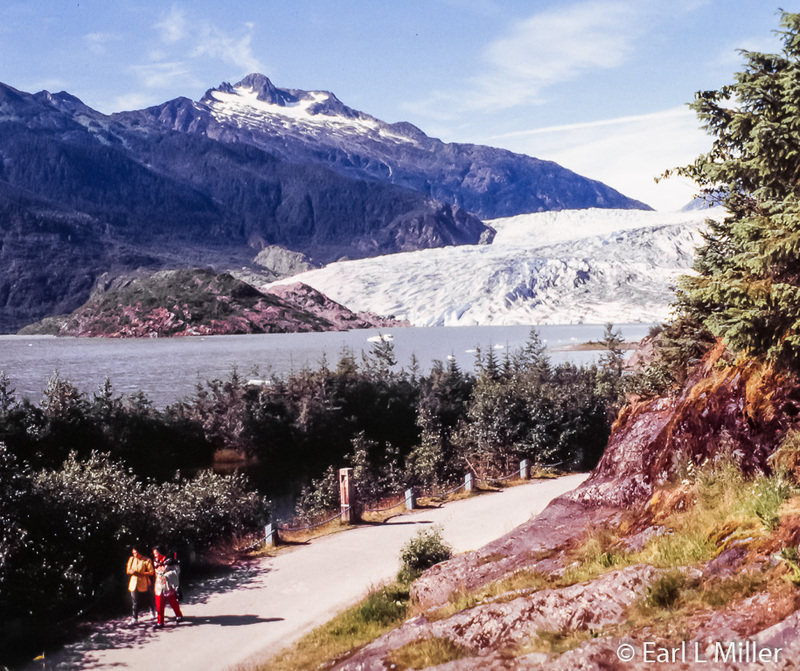 We visited, many years ago, the 13-mile long Mendenhall Glacier terminating on the far side of Mendenhall Lake. It started retreating at the end of the Little Ice Age in the 1700s and has gone back 1.75 miles since 1958. Its visitor center is open 8:00 a.m. to 7:30 p.m. from May through September, with shorter hours the rest of the year. The fee is $5 per person though federal recreation passes are accepted. Visitors enter through an upper entrance with a ramp or through the lower entrance with an elevator. Dedicated in 1962, it was the first U.S. Forest Service visitor center built in the nation. The center shows a movie every 20 minutes about the glacier and Tongass Forest, has telescopes, and contains interactive exhibits. The displays depict the area’s wildlife and the glacier’s history. Rangers answer questions, point out wildlife, and provide interpretative information. Trails range from easy to moderate through the forest and along the lake. Keep your eyes peeled for mountain goats, bears, beavers, and spawning salmon in season. Some trails go near waterfalls. 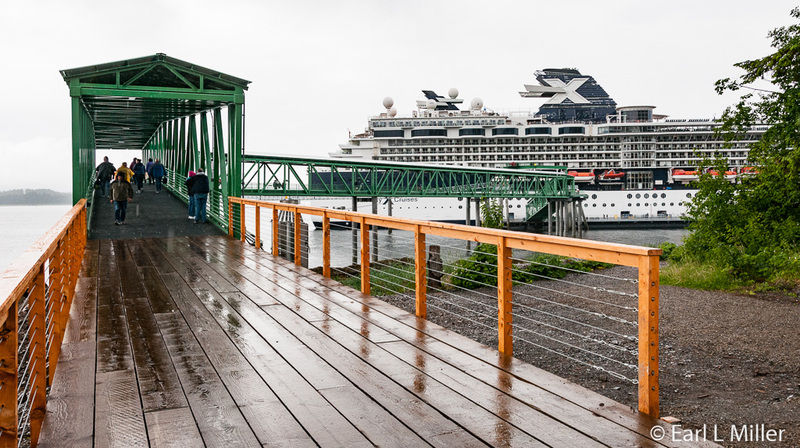 You can reach the glacier via one of the many ship excursions or by taking a taxi from downtown Juneau. The city bus stop is 1-1/4 miles from the visitor center. What happens when a Native American cannery shuts down? 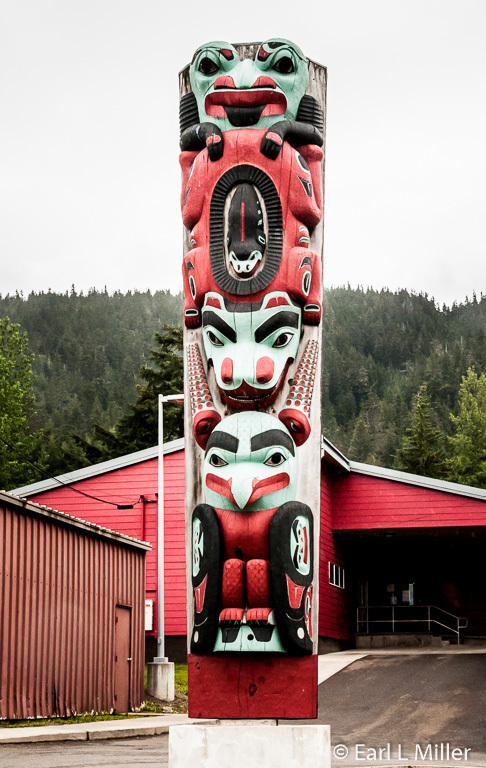 The Huna Totem Corporation turned Chichagof Island and the cannery, on which Icy Strait Point is located, into a tourist attraction for cruise ships. The village now offers twelve shops, restaurants, and numerous tours. The first ship to visit was Celebrity’s Mercury in 2004. Several cruise lines now spend the day at this port. Only one ship a day is allowed except for Tuesdays when one in the morning and one during the afternoon visit. New for 2016 are the dock and the Adventure Center from which tours leave. Previously, passengers had to take a tender here. Since you spend the day at this port, it’s safe to book more than one of the 18 excursions offered. Many are about seeing wildlife such as humpback and killer whales, Sitka black-tailed deer, various birds, or brown bears. While sightings of bears aren’t guaranteed, Chichagof Island is touted as having the largest concentration in Alaska. There are almost two bears per square mile. Those taking whale-watching cruises are guaranteed to spot whales or they get a $100 cash refund for adults and $50 for children. More active passengers can go fishing for halibut and salmon, kayaking, take an ATV adventure, or choose the ZipRider Package. Kayaks and ATV are for two passengers. 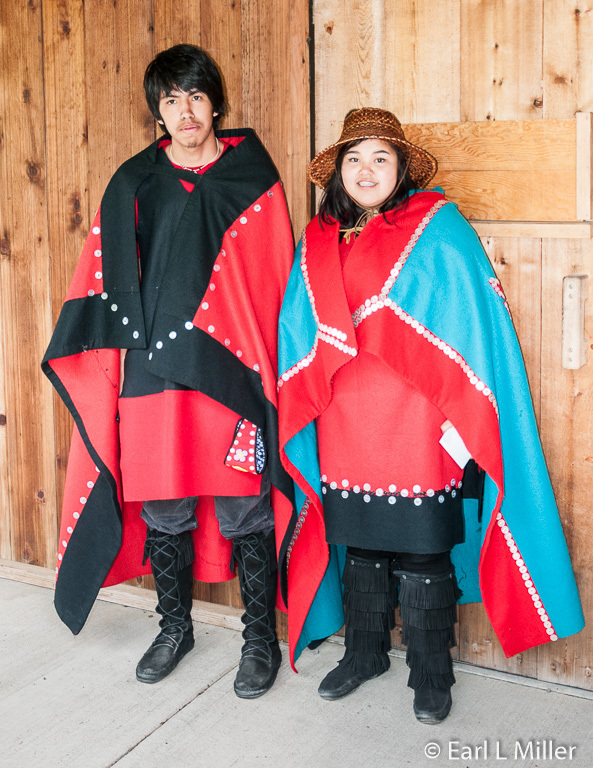 You can learn how to process and prepare Alaskan seafood, take a nature tram, or do what we did - combine a tour of Hoonah with a tribal dance and cultural show. The ZipRider is extremely popular. It’s the longest in the United States and one of the longest in the world at 5,330 feet. The tower is at an elevation of 1,350 feet and drops 1,300 feet back to sea level. You travel at a top speed of 60 miles per hour with the ride lasting approximately 90 seconds. To reach the mountain top, you travel for 45 minutes by bus which includes a tour of Hoonah. Six guests descend at once. Salmon fishing is best the first of July through September. It’s possible to charter an entire fishing boat if you purchase all six tickets. Even if you’re just watching, you will be charged the full tour price. Stream fishing is a catch-and-release program. If you are halibut fishing, you can keep the fish but must pay for its processing and shipment home. You can’t take the fish back on your cruise ship. We took a shuttle over to the Adventure Center from the ship. It’s also possible to book other tours here and check out a souvenir shop. After our tour, our guide, Archie, advised us of three discounted tours we could book which were a wildlife and bear search, ZipRider, and whale and marine mammals cruise. These save from 25 to 60 percent. Our 1-1/2 hour bus tour started with a visit to Hoonah. 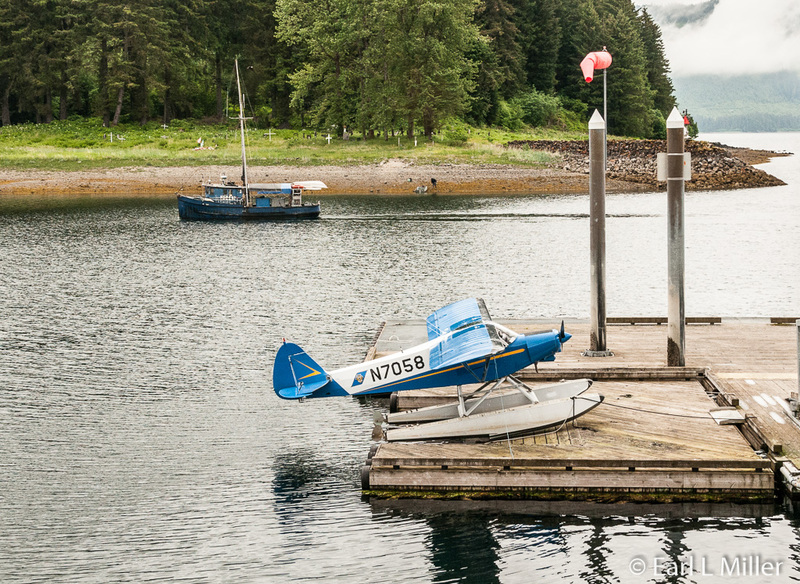 With a population of 1,350 people, it’s the largest Tlingit village in southeastern Alaska. The village developed when clans were forced from their home in Glacier Bay during the Little Ice Age when the glacier advanced. 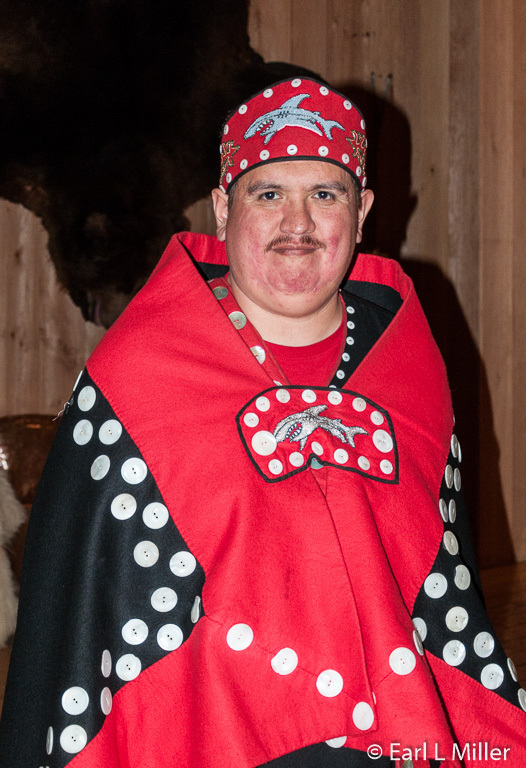 Archie related the history and culture of his tribe including some Tlingit legends. He told how Kaasten called to the glacier at Glacier Bay since the Tlingits believe all life has spirit. The glacier didn’t like being called like a dog and started moving as fast as a dog could run. The people thought it was an earthquake. They moved while Kaasten stayed behind. Another was on why Tlingits don’t hunt bears. When the Tlingits settled on the island, bears didn’t like them, since they thought the people were encroaching on their land. They killed some of the tribe. The chief went to the bear. The bear said it was all right to stay and brought deer meat as a sign of peace. We learned fishing for salmon and halibut is the biggest industry with tourism rapidly growing. The Tlingits still hunt for seal, goat, and deer and gather plants, berries, and seaweed. The society is matrilineal with children adopting the clan of their mothers - either the eagle or the raven. Traditionally, one marries a person of the other clan. The town has three police officers and one state trooper, 15 volunteer firemen, but no doctor. One comes only every three months. If there is a medical emergency, the Tlingits go to Anchorage or Seattle. They do have a post office. Their airport is currently being enlarged. We made three stops. The first was at Brown Bear Bay where the Alaskan Marine Ferry docks. Sometimes you can see whales here, but we didn’t. The next stop was at George Hall Memorial Boat Harbor. It houses tugs, barges, trawlers, personal boats, and yachts. We spotted a bald headed eagle and a state trooper’s sea plane. Our final stop was Hoonah City School, which is K-12. It has 11 teachers and 129 students. Archie described the symbols on the large totem pole in front. We didn’t hear about the short pole as the tribe had not given permission to tell its story. Totems, crests, and woven items are important for their aesthetic value and because these works have deeper meanings and values. 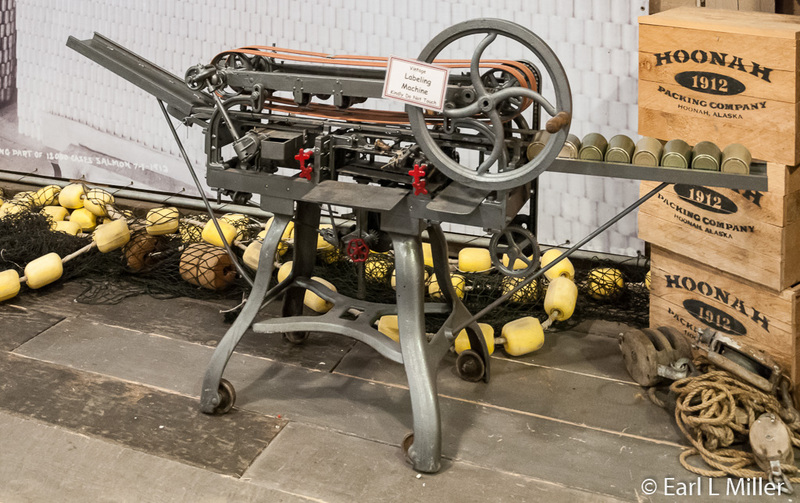 Hand-crafted items share identity, family lineage, history, and the relating of important events. We next attended the 45 minute cultural show at Heritage Center Native Theater in Icy Strait Point. 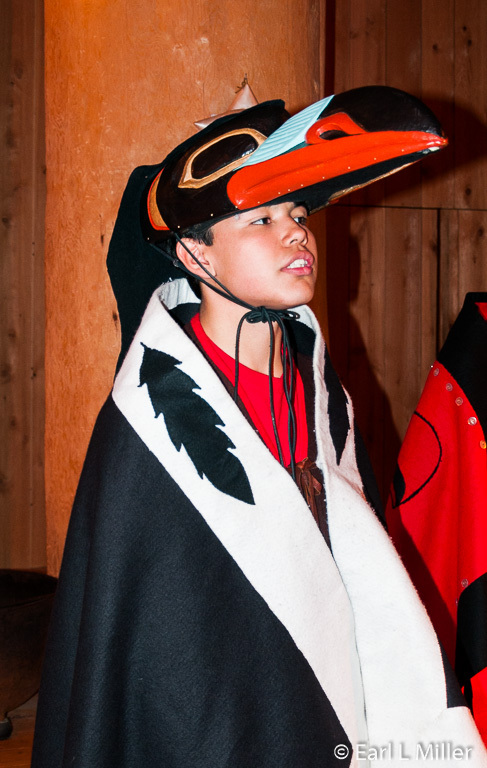 Before the three acts, visitors can ask questions about the Tlingits. The show consists of nine performers including our guide who beat a drum. It would have been better if they had microphones since some speakers were hard to hear. The Tlingits did not have a written language until 1970. They wrote songs about their historical events - their tragedies and triumphs. Their songs and stories are sacred so no photography is allowed during the show which consisted of three acts. As passengers entered, postcards were handed out representing the eagle and raven clans. During the song “Where are You?”, the audience held up the postcards when their clan was called. The second act acted out, through vivid costuming, how raven created the world. Raven’s grandfather gave him boxes holding the sun, moon, and stars. Raven allowed the stars, then the moon, and finally the sun to escape. He was punished for three days in a smokehouse which is how he got his dark color. For the third act, everyone was invited to come on stage and dance to the Raven Portrait song. It was about how raven fell in love with wolf who would have nothing to do with him. Afterwards, people were allowed to photograph the performers. Fur traders arrived in Hoonah during the 1880's with schools, churches, and stores soon following. 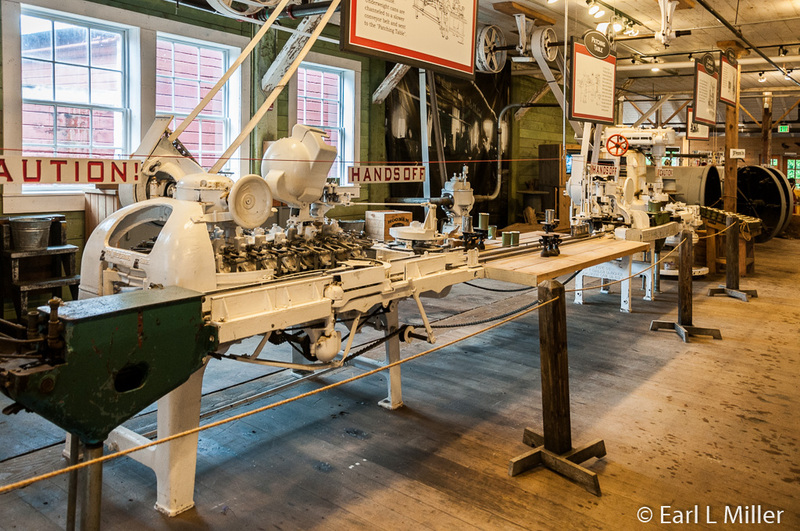 The Hoonah Packing Company built the first cannery in 1912 at what is now Icy Strait Point. 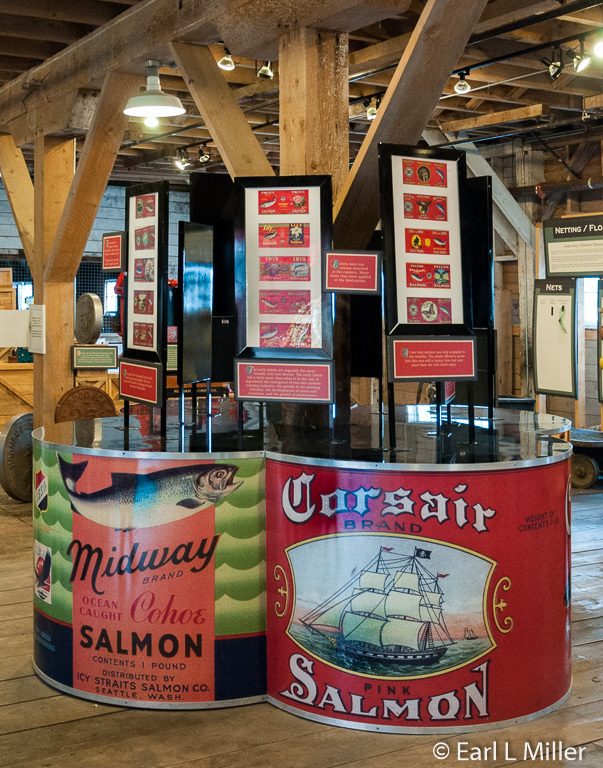 In 1932, the Icy Strait Salmon Company purchased the firm after several changes of ownership. Numerous Hoonah residents had employment there. When a fire destroyed the town on June 14, 1944, many made their home at the cannery until the village was rebuilt. 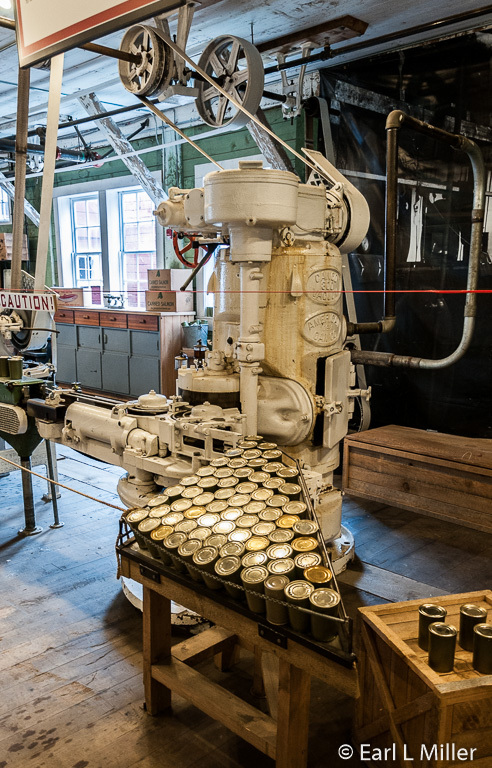 The cannery stopped producing salmon in 1953. 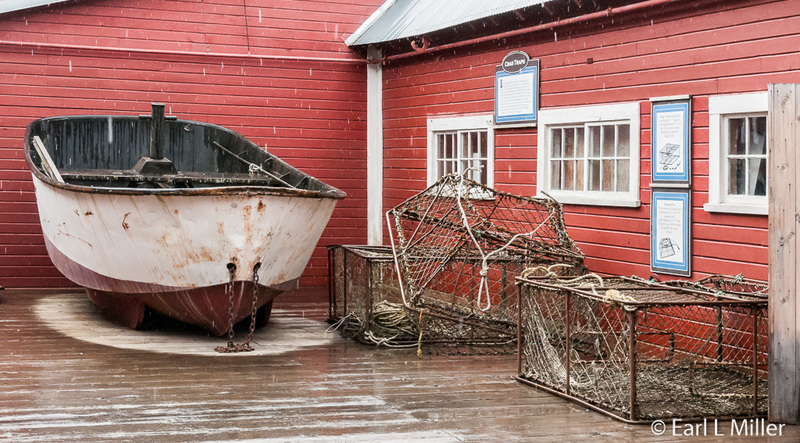 From that year until 1999, it was used by the Hoonah fishing fleet as a maintenance and storage facility. The Huna Totem Corporation bought the cannery in 1996 and turned it into what people see at the port today. The Hoonah Packing Company Cannery is now a 12-store mall. Shops include everything from Coastal Electronics, a Radio Shack dealership, to Baranof Jewelers, to several selling Alaskan and tribal crafts. Local students operate the Hoonah Schools Bookstore. One unique store was the Salmon Shop featuring a variety of canned salmon and salmon jerky. The building also houses a free, excellent, small museum which you will want to spend an hour exploring. 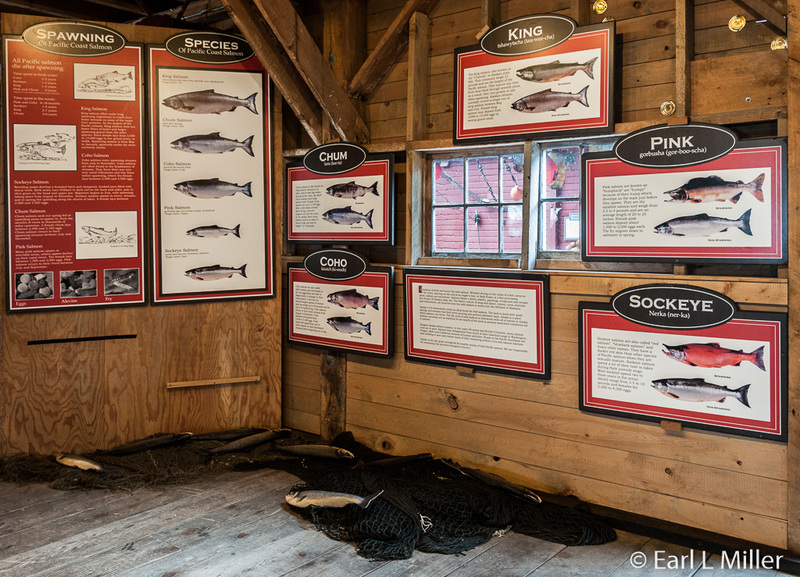 Signboards cover such topics as types of boats, kinds of salmon, and Alaska’s history. You’ll learn about the pipeline which runs from Prudhoe Bay to Valdez, Dead Horse Gulch, tent towns, the Gold Rush, and the state flag and symbols. 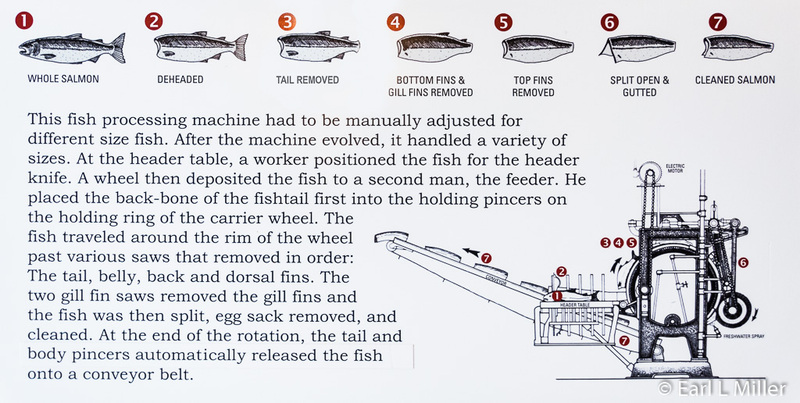 You’ll see fish processing equipment including a chopper, filler, and weigher. The poaching table and curler vacuum sealer are also displayed. Signs above each of these explain the process You’ll also see the labeling machine and a display of those the company used. 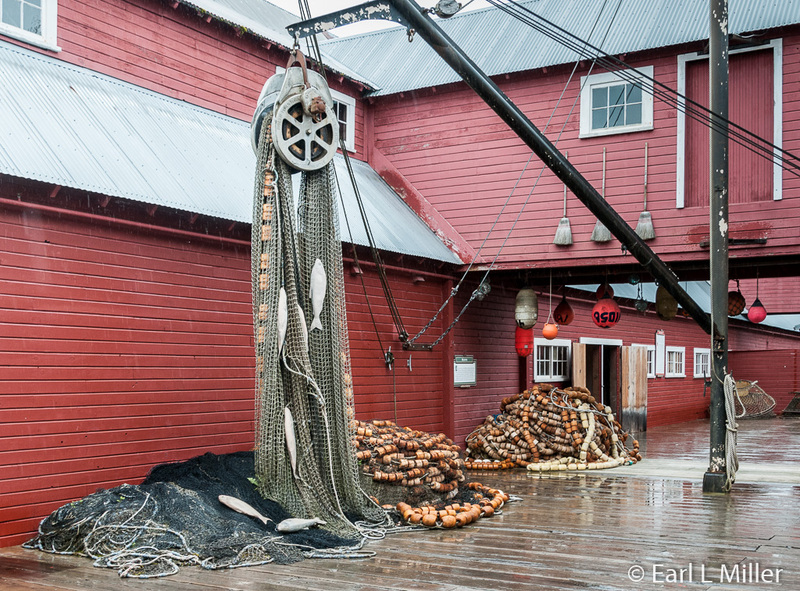 On the outside of the cannery, you’ll spot salmon fishing nets, crab pots, and fishing boats. Nearby are three waterfront restaurants and walking trails. 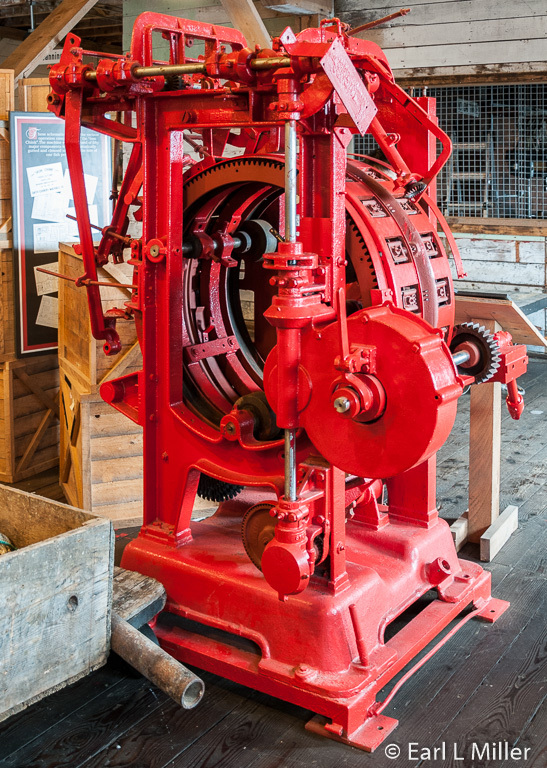 The Cookhouse Restaurant, which has fed cannery visitors and workers for more than a century, is known for its casual fare including Alaska halibut and chips and Alaskan Blu Burgers made from reindeer meat. The Crab Station is the place for king, snow, and Dungeness crab. The Duck Point Smokehouse is their flagship restaurant with such items as brick-oven pizzas, seafood stew, and halibut teriyaki sandwiches.